The stately architecture of the historic Liriodendron Mansion in Bel Air, MD provided the perfect backdrop as daylight faded into golden hour and guests began to arrive! Non-traditional textured magnolia leaves, dark red roses and hand painted gold greenery decked the halls as nearly 40 of the DMV’s best creatives were serenaded while sipping gourmet hot chocolate and festive cocktails on velvet settees. 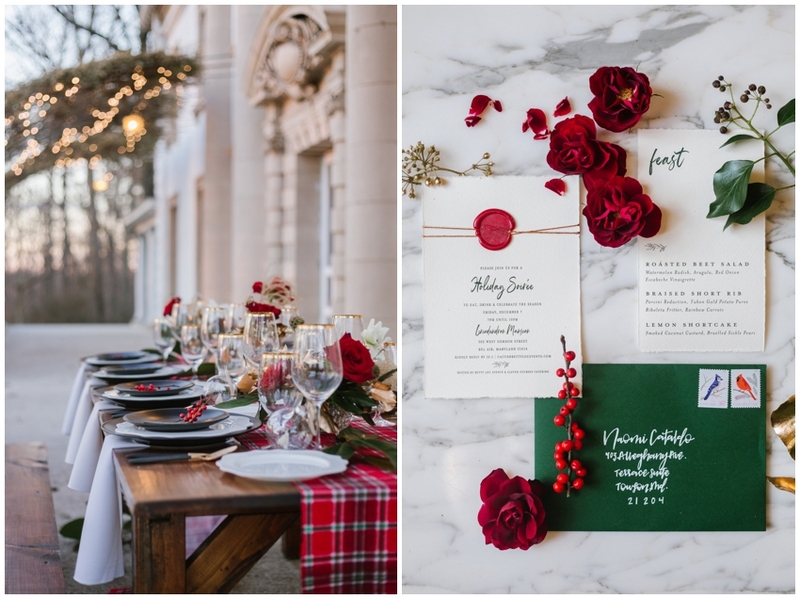 Small bites were wrapped like presents and served in whimsical ways, by servers wearing tartan plaid ties to match the runners in the stunning holiday inspired tablescape. Directly following cocktails, guests were invited to take their seats; farm tables were set with chic black and white place settings for all to enjoy an incredible 3 course dinner. 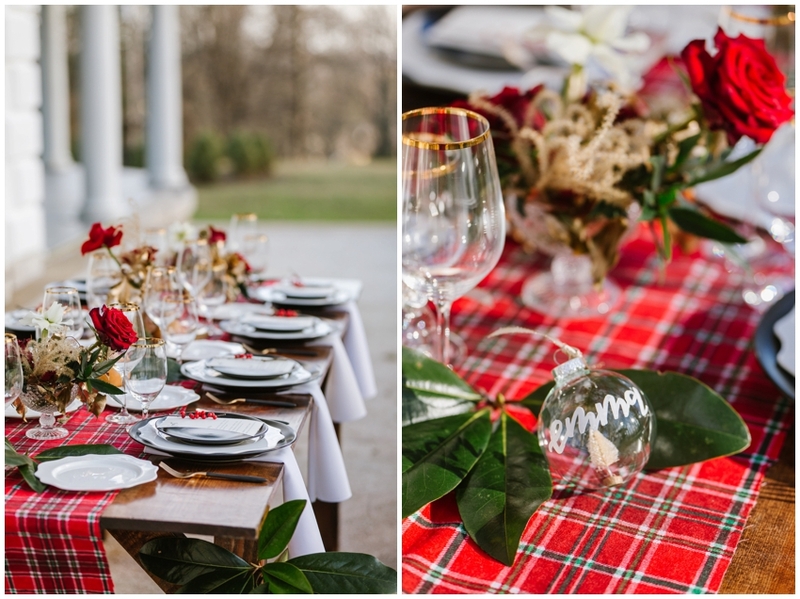 Each seat was set with a hand lettered ornament and a delicate contemporary menu. 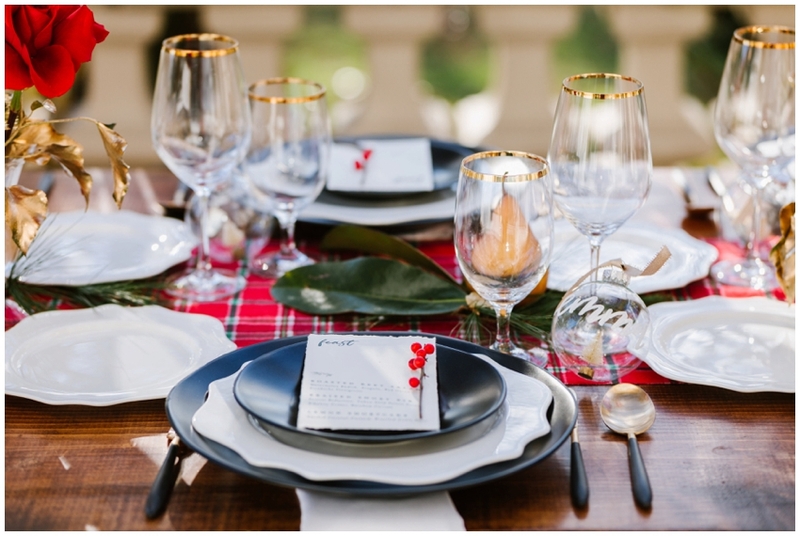 Tabletop Design: Pretty Little Wedding Co. The Liriodendron is a historic home and estate of one of the four founding physicians of the Johns Hopkins Medical College, Dr. Howard Kelly. Liriodendron is the botanical name for the tulip poplar, many of which can be found around the grounds of this historic property in Bel Air, Maryland. What makes the Liriodendron Mansion unique? The Liriodendron is listed on the National Register of Historic Places. Purchased in 1890s, the property now consists of approximately 100 acres and a variety of structures: the mansion, a bank barn, a carriage house, a board and batten cottage and 5 other outhouses including a smokehouse and 2 ice houses. The wisteria arching up to the main facade forms such an elegant setting for portraits and outdoor dining! No matter the wedding season, the architecture and grounds are absolutely breathtaking. Imagine cocktail hour out on the portico under the twinkling lights, a fireplace in every room and entering from the staircase of your dreams…! How many guests can be accommodated? Up to 120 people can be accommodated at your event. A large surface parking lot is available on the grounds, just a short walk from the mansion. On Saturdays, one event may occur in the morning and one in the evening. Fridays and Sundays only host one event. 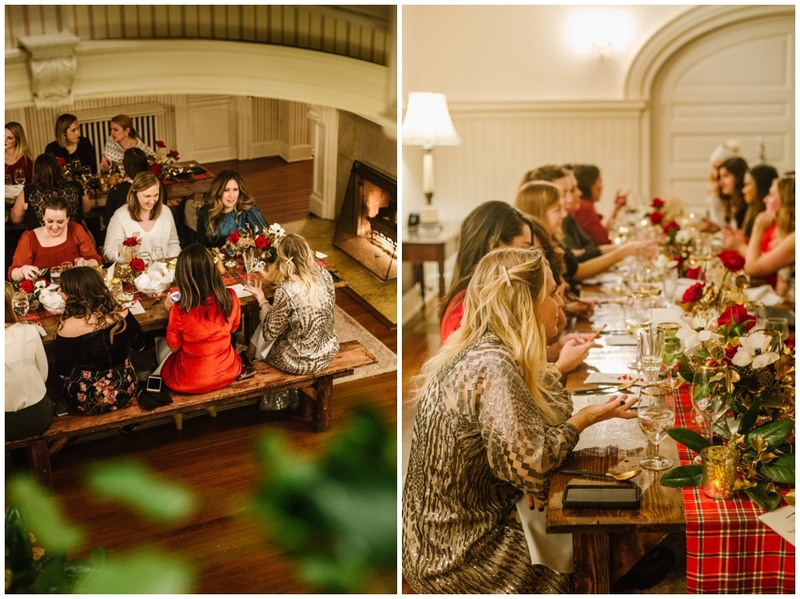 Are there options for smaller, intimate weddings? Yes! Petite weddings are available during weekday hours and brunch weddings are available on Saturday and Sunday mornings between 8am-12:30pm; both at a discounted rental rate. Friday weddings choose a 6.5 hour contract time for a 4 hour event. On Saturdays, there is a choice of a 9am-4pm contract time for an event time of 11am-3pm or 4pm-11pm contract time, for an event time of 6-10pm. Additional time can be arranged should it be necessary. Both the bride and groom are able to get ready upstairs in original and separate bedrooms and suites within the mansion. Yes, all rentals enjoy the full use of our mansion and grounds. Chiavari chairs for indoor and outdoor dining and white lawn chairs are included in the rental rates, as well as tables in a variety of shapes and sizes. There is a list of 11 experienced caterers from which you can choose. Yes; a venue manager will be on site from open to close. 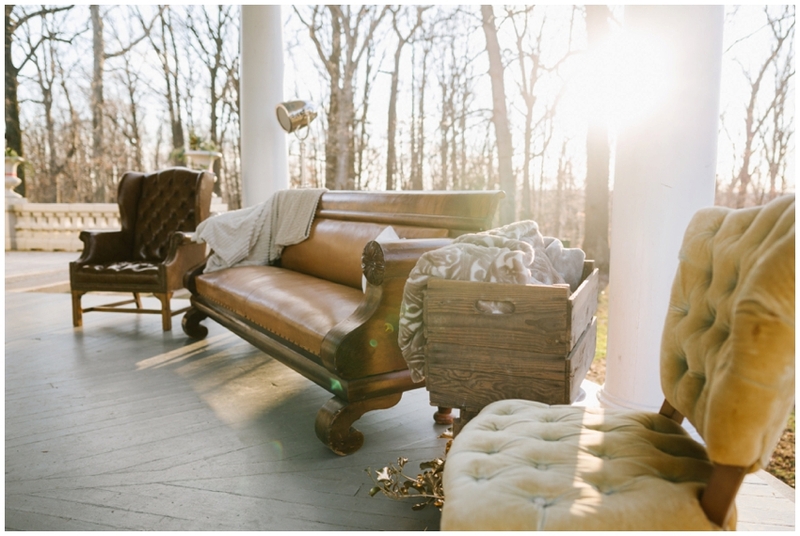 What does it cost to host a wedding at The Liriodendron Mansion? Rates vary depending on the season and day of the week; an introduction to rates can be found here. The first floor is fully accessible.